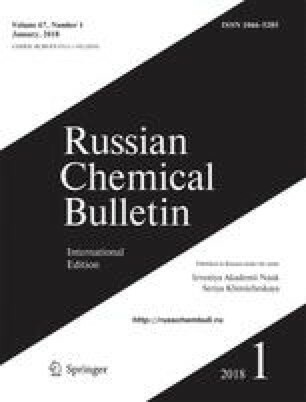 Polyfluorinated tetrahydro-1,3,5-oxadiazine derivatives were obtained by the condensation of urea and thiourea with polyfluoro ketones. Translated from Izvestiya Akademii Nauk SSSR, Seriya Khimicheskaya, No. 9, pp. 2168–2169, September, 1977.